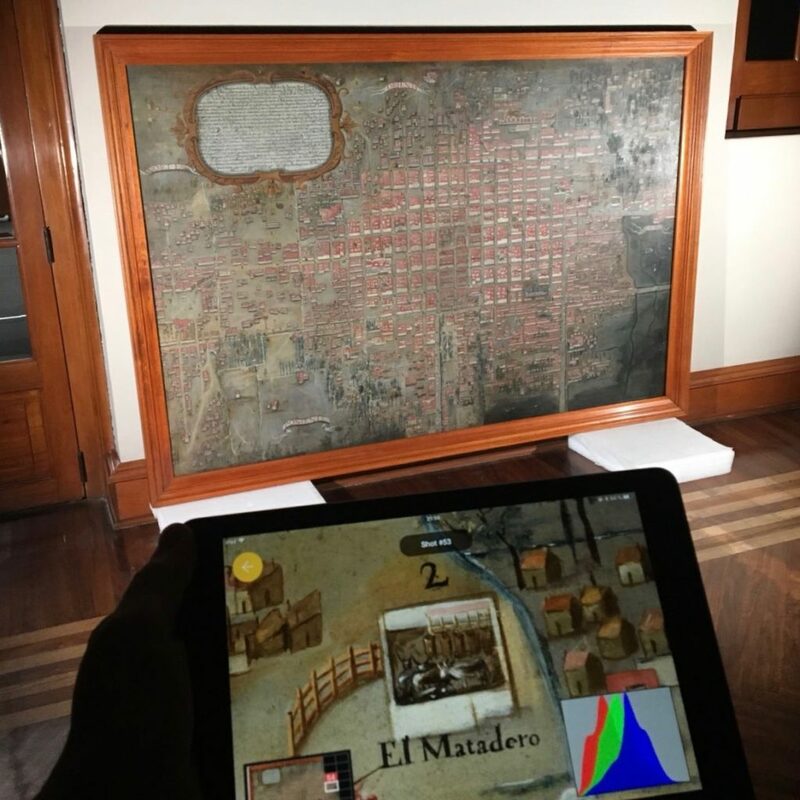 This past June we visited Mexico City to digitize works in 6 local museums to expand their dissemination, safeguard them as digital objects and promote their study. 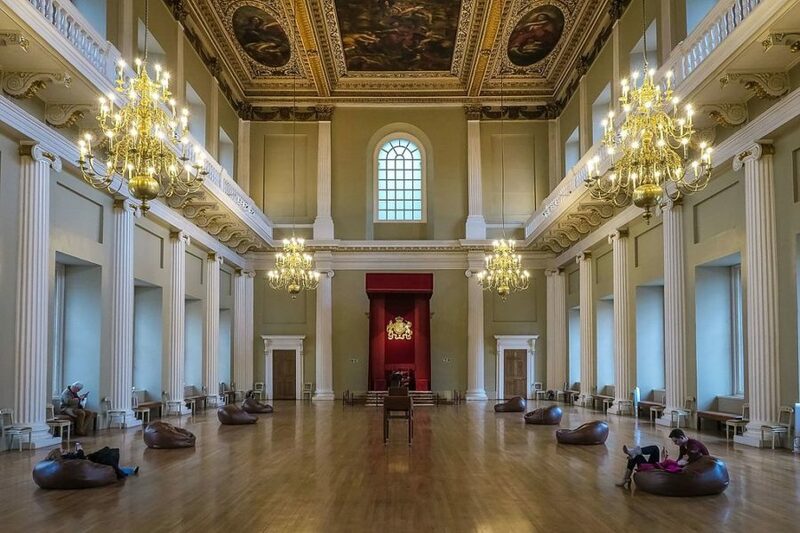 All these institutions are participating in scModules, the EU co-funded project which seeks museums that want to experiment with new possibilities for artwork digitized in super high-resolution. 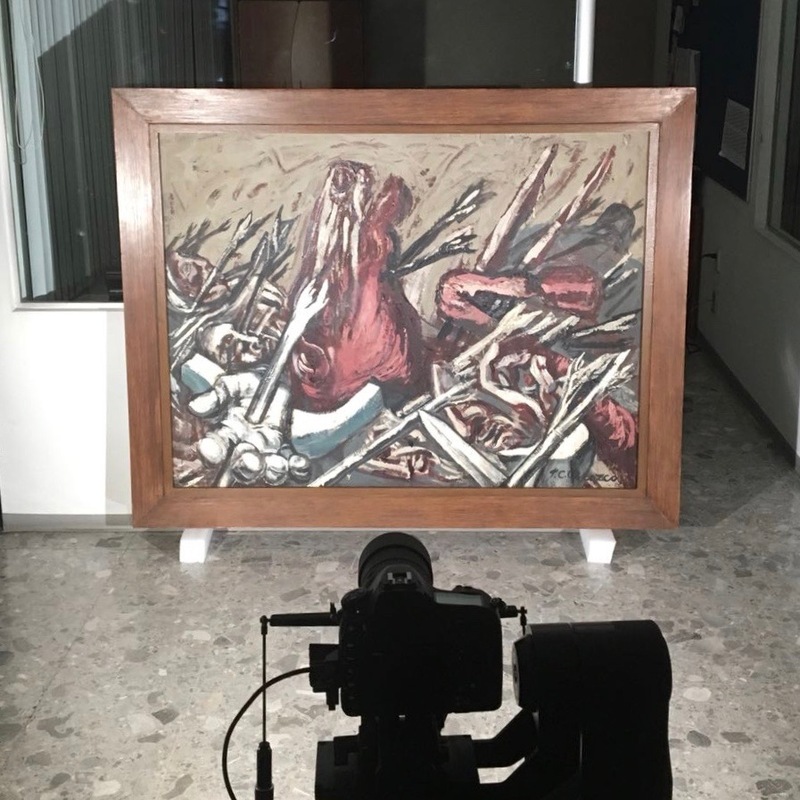 One of the works that we were lucky enough to digitize was the mural “Sueño de una tarde dominical en la Alameda Central”, one of the most representative pieces by Diego Rivera. 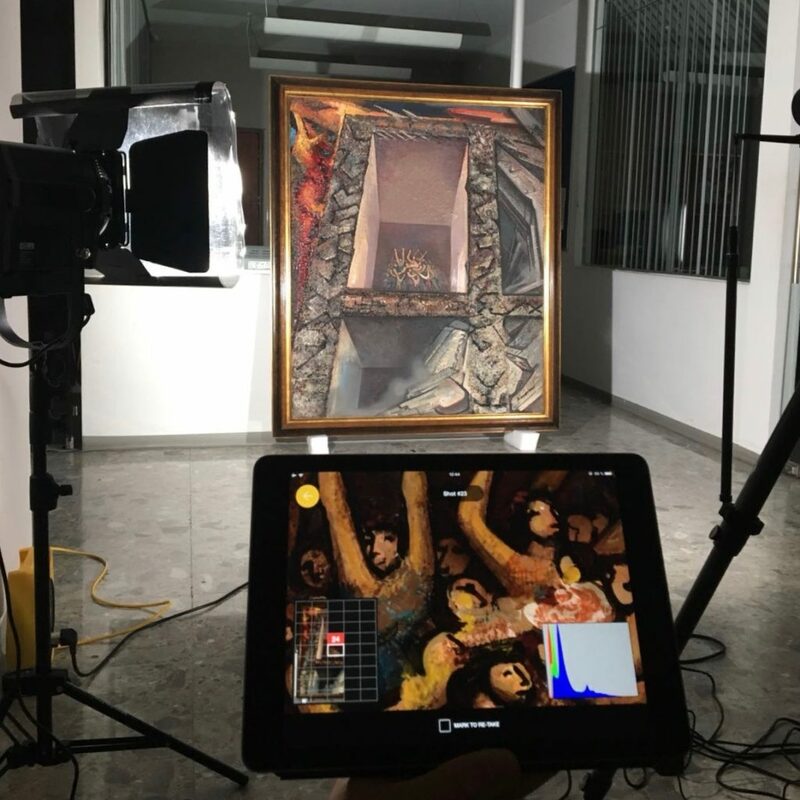 Due to the size of this mural, which is 4.70 x 15.6 m, we needed to place the camera with ROB (our smart tool for art scanning) about 9 meters away. For lighting we used our 4 portable spotlights and the room light. But before we could start, we found that the base of the mural has a kind of varnished wood that causes reflections. To rectify that, some strips of matte paper were attached to those areas. It was also necessary to polarize the light and use lenses with polarizing filters that eliminate reflections. The National Museum of History is the institution that holds Mexico’s memories, from the conquest of Tenochtitlan to the Mexican Revolution. 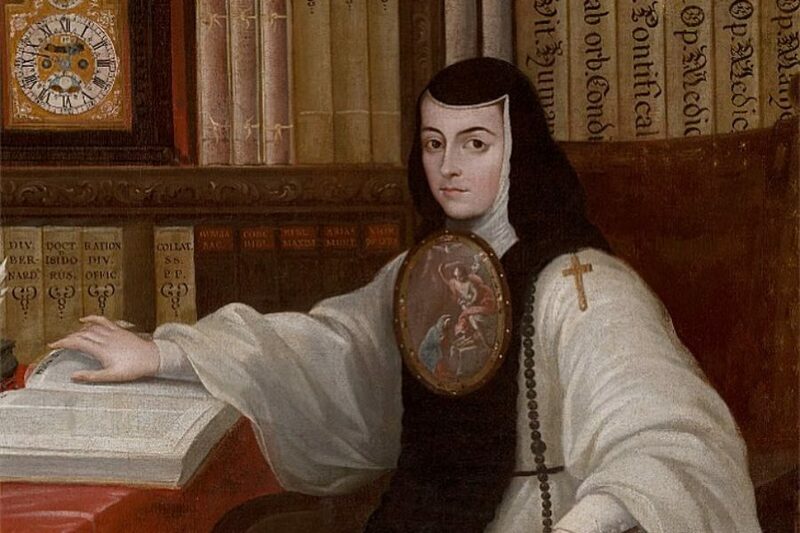 Here, among other wonders, we were able to digitize a map of Mexico City painted by Pedro de Arrieta in 1737 and “Pintura de Sor Juana Inés De la Cruz”, a mythical portrait painted by Miguel Cabrera which shows Sor Juana Ines De la Cruz‘ tireless desire for universal knowledge. In this institution some intricately hand embroidered cloths were digitized. They are called “Tenangos” and as they are textiles, they could be illuminated perfectly without reflections. 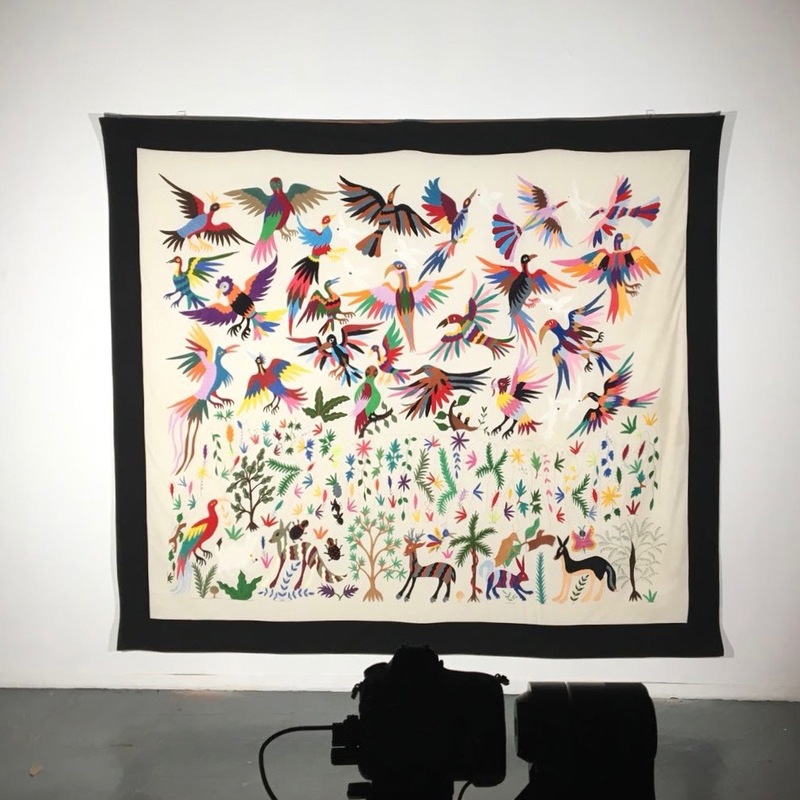 Tenangos are valued for the quality of their embroidery and their portrayal of real and mythical animals and people from the Otomi world view. 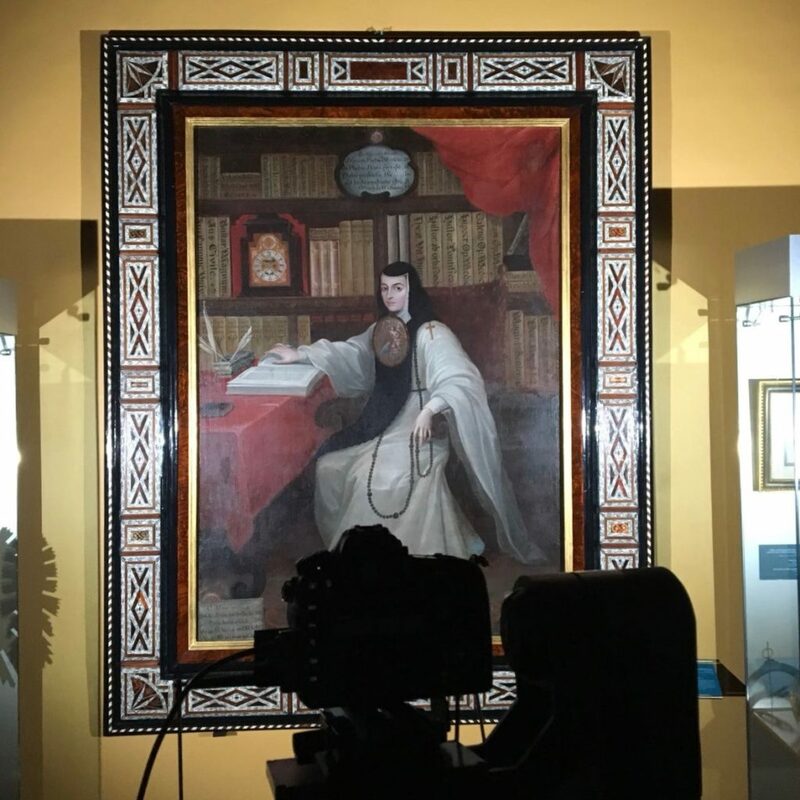 Here we digitized some works which were painted with a mixture of materials that forced us to think carefully about the illumination. 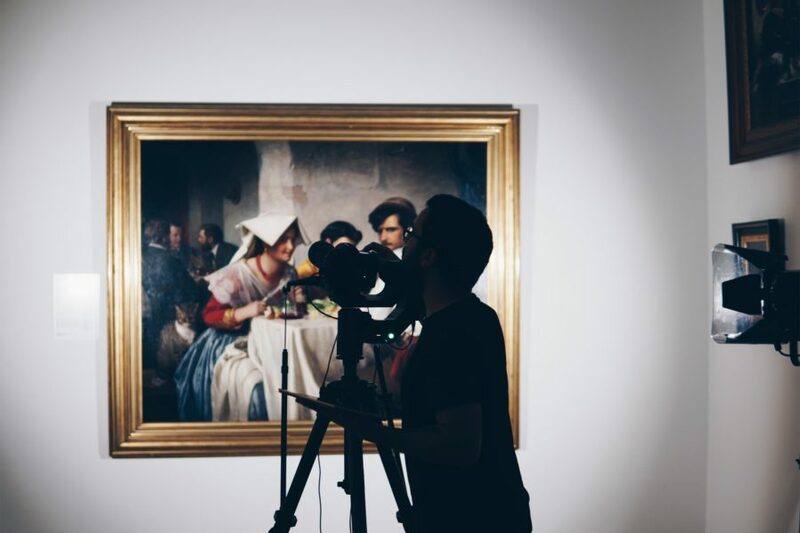 We had to maintain only enough brightness to help viewers to perceive the different volumes of the piece. The Museum of Modern Art houses one of the largest collections of Mexican art of the 20th century, consisting of around 3.000 paintings, sculptures, photographs, drawings and engravings. 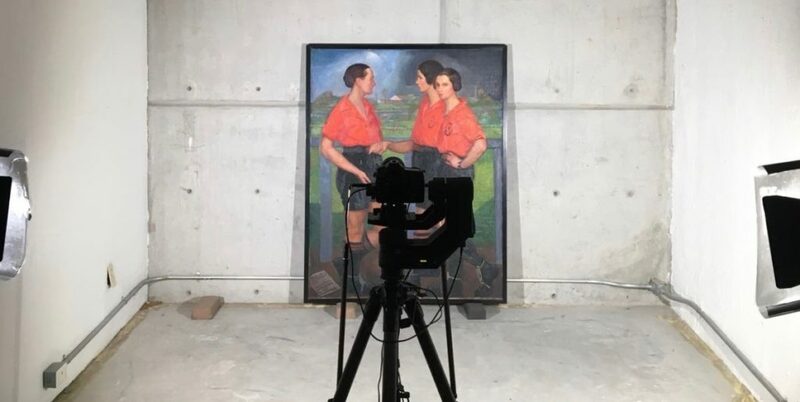 At the Museo Universitario Arte Contemporáneo, the largest public institution in Mexico to house a collection of national and international contemporary art, we worked with pieces like “Jekyll and Hyde Club” by Jose Luis Sanchez Rull which was great for a super high-resolution digitization. 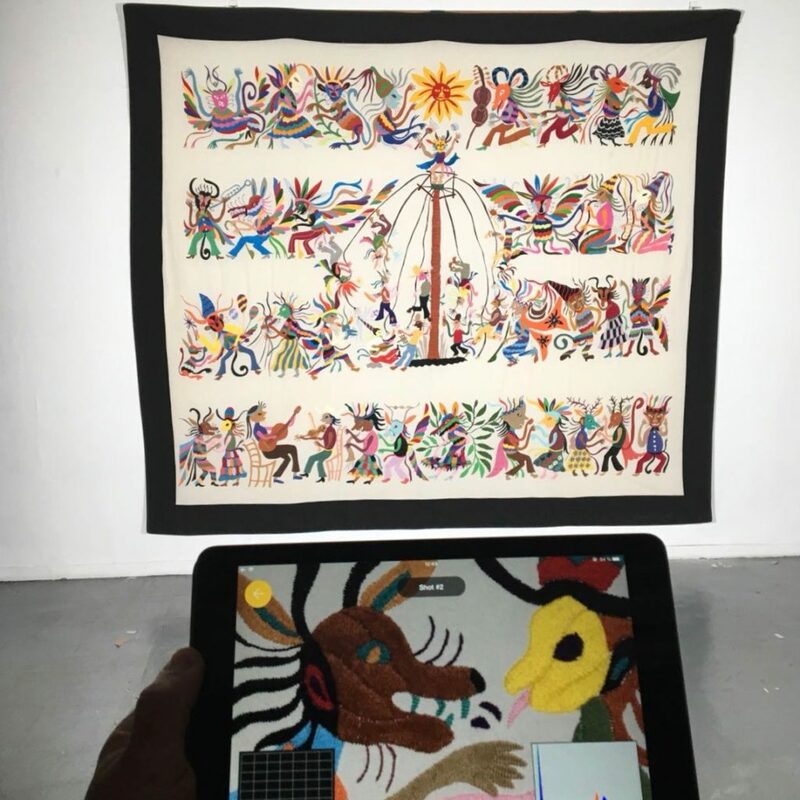 Besides being huge (2 x 4 m), this work has a lot of different sized details, so exploring it with super zoom will allow the audience to discover an infinity of elements and characters.